Researchers at the University of Virginia Health System have developed an experimental vaccine to battle melanoma, a deadly form of skin cancer. It’s an example of cutting-edge immunotherapy, the harnessing of the immune system’s power to battle disease. But it also represents a fulfillment of potential that UVA recognized 25 years ago. In 1991, with financial support from businessman Beirne B. Carter, UVA established the Beirne Carter Center for Immunology Research. In those days, the notion that there could be a vaccine for cancer would have drawn scoffs. There wasn’t even agreement in the scientific community that the human body could have an immune response to cancer. It wasn’t an infection, wasn’t the result of some bacterium, virus or parasite. So why would the immune system be involved? Turns out it is. And in the 25 years since the center’s founding, the field of immunology has exploded, becoming one of the hottest areas in medical research. Its applications are far-reaching: not just cancer, but multiple sclerosis, AIDS, allergies, diabetes, autoimmune disorders – an endless list of medical conditions that have benefited from a new way of thinking about the immune system. It represents nothing short of a revolution in how we approach, understand and treat disease, and UVA’s Carter Center for Immunology Research has been in the thick of it all. Today, the Beirne Carter Center has more than 40 faculty members, up from about five when it began. Its work has drawn headlines around the world, such as the textbook-changing discovery last year by center member Jonathan Kipnis that the brain and immune system are directly connected by vessels long thought not to exist. (Prior to that finding, the brain was thought to be “immune privileged,” meaning it lacked that direct connection.) The discovery could have profound implications for neurological conditions such as autism, multiple sclerosis and Alzheimer’s disease. But that’s just the tip of the iceberg. The center’s researchers are taking on everything from hepatitis C to disease and malnutrition in the developing world. They are targeting autoimmune diseases, such as lupus, and they are advancing our understanding of how to treat and prevent cardiovascular disease. Their efforts have shed light on the fundamental workings of our immune system, from identifying an unknown molecule that plays a vital role in initiating immune responses to helping prove the existence of “regulatory T cells” critical for preventing autoimmune diseases, allergy and transplant tissue rejection. The center’s research could lead to new ways to battle pneumonia, stop peanut and meat allergies, even prevent deadly flu infections. The scope of the work is vast, and its potential impact tremendous. 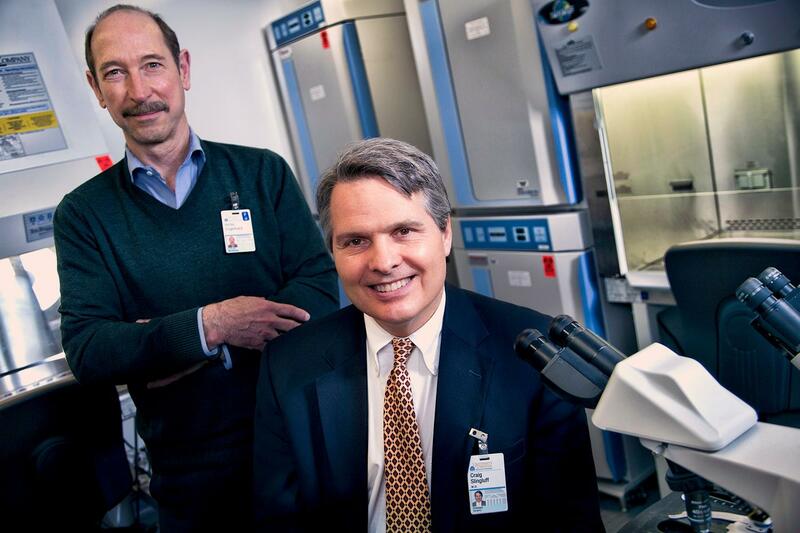 One of the center’s greatest strengths, Engelhard said, is that it brings together researchers across disciplines to make discoveries and then apply those discoveries, such as Engelhard’s collaboration on the melanoma vaccine with Dr. Craig L. Slingluff Jr. of the UVA Cancer Center. This shared journey of discovery creates excitement and builds momentum. “You have to create opportunities in which people come together,” said Engelhard, of UVA’s Department of Microbiology, Immunology and Cancer Biology. His collaboration with Slingluff highlights the advantages of the approach and speaks to the importance of the Carter Center’s research. Answering those sorts of questions is at the heart of what the Carter Center does. The field of immunology has changed dramatically since the center was founded, but the Carter Center’s fundamental mission of discovery has not. The Beirne Carter Center for Immunology Research will mark its silver anniversary with a symposium Monday, Oct. 31. Featured speakers will be Yasmine Belkaid and Dr. Ronald N. Germain, both of the National Institutes of Health; Anjana Rao of the La Jolla Institute for Allergy and Immunology; and Robert Schreiber of Washington University.